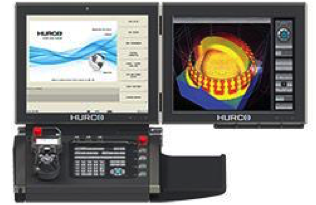 Hurco has been leading the industry in CNC machine tool technology for 49 years with over 80 patents to our name. We make reliable CNC machine tools with the most versatile control in the industry by providing both NC and conversational programming. 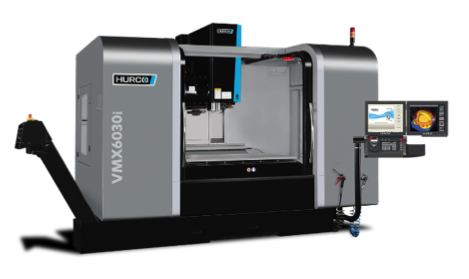 From 5-axis machining centers to large format machining centers designed for the aerospace and energy sectors, there is a Hurco CNC machine for you. 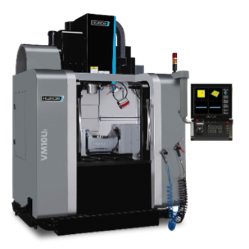 Our flagship VMX line is the workhorse of 3-axis CNC machining centers. But we don’t stop at milling. We have worked diligently to ensure our turning centers are up to par with our mills. 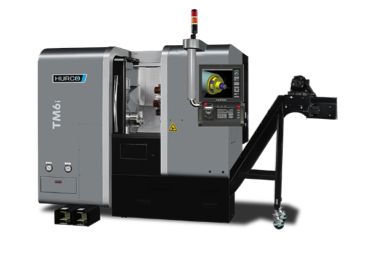 The TMX, TMM, and TM lines include a range of turning centers with chuck sizes up to 25 inches and mill turn machines that support the “done in one” philosophy. 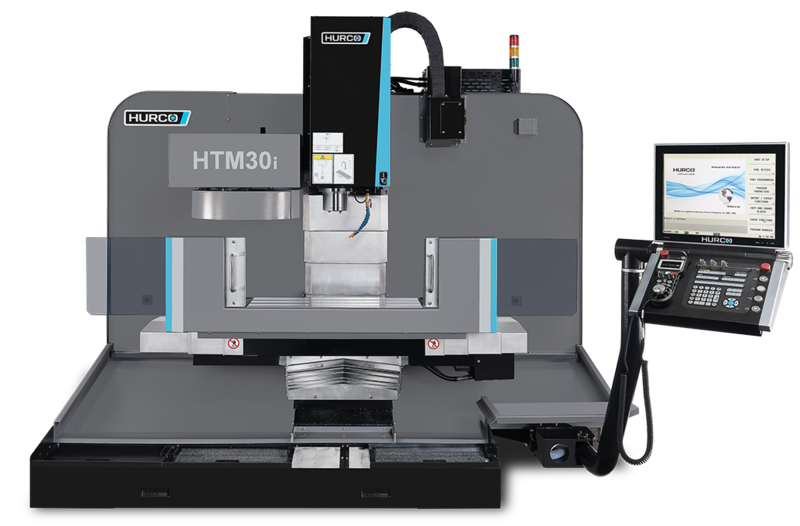 Whether you are turning, milling, doing 2D parts or 3D parts, Hurco CNC machine tools, equipped with our integrated control, let you get down to the business of making chips faster than any other CNC machine tool. Your expertise paired with our control technology—that’s mind over metal. That’s Hurco. 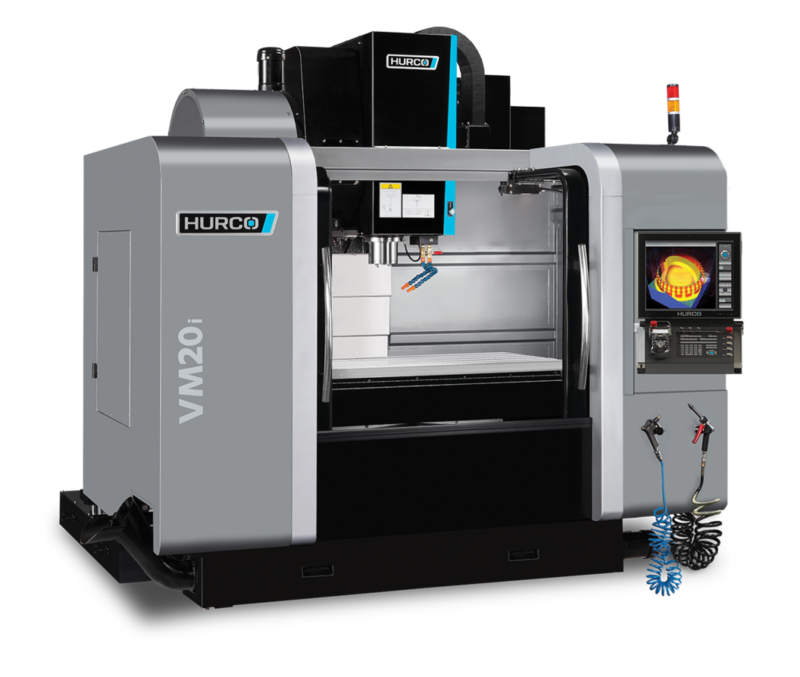 The Hurco VM Plus CNC vertical milling machines offer powerful machining with a compact footprint, and absolutely the best value on the market. These CNC machining centers are the perfect combination of size and functionality. The larger work cube provides impressive X travel while not demanding excessive floor space. They come standard with WinMax Classic, Spindle Thermal Chiller, Rigid Tapping, and more. 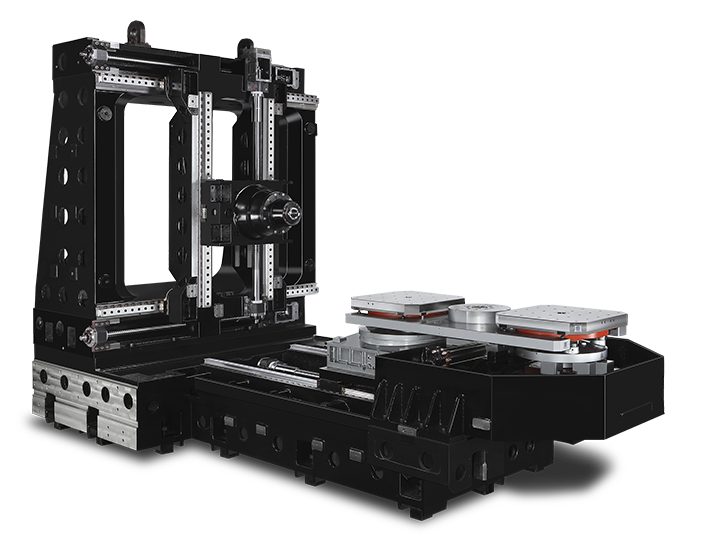 These machines are built to last and to retain accuracy with larger linear rails that are mounted to a machined shoulder for increased rigidity. Additionally, the rails are wedge-locked to the frame to reduce vibration instead of using the faster, cheaper face-milled process. The ball screws are stretched and pre-loaded, and have an additional anchor to the Z-axis. 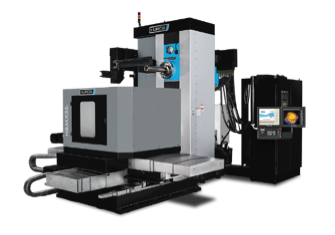 Double Column Machining Center, BX Series. 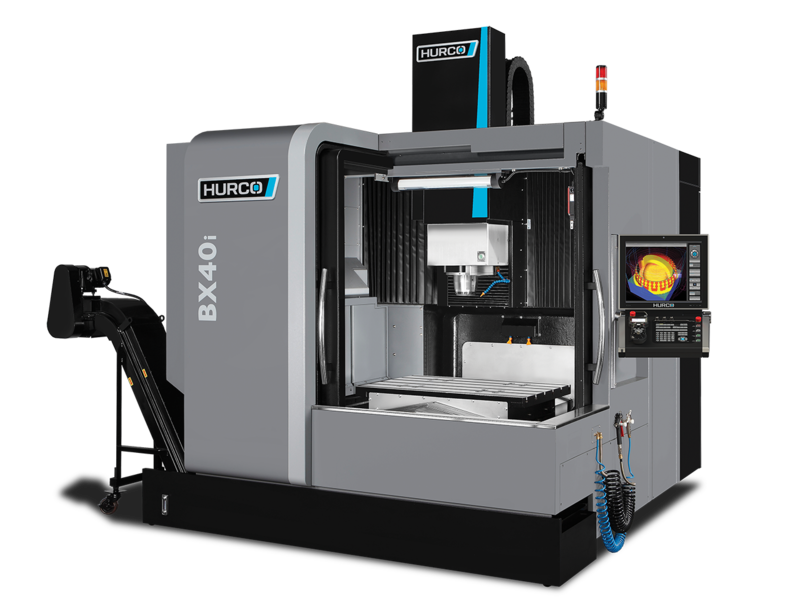 The Hurco BX Series CNC double-column machining center is the perfect combination of performance and flexibility. The ladder structure and double-column design provides extreme rigidity and outstanding support for the head. 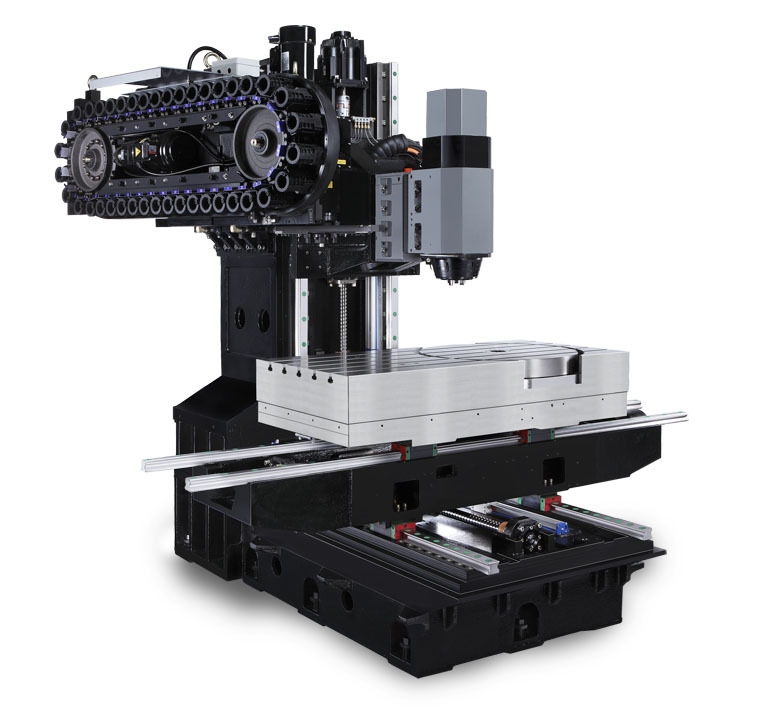 With an 18K motorized spindle and oversized linear guide rollers, it is perfect for a wide range of applications. Exceptional cutting feed rates are achieved with patented high-speed motion technology resulting in the fastest cut with the best surface finish. 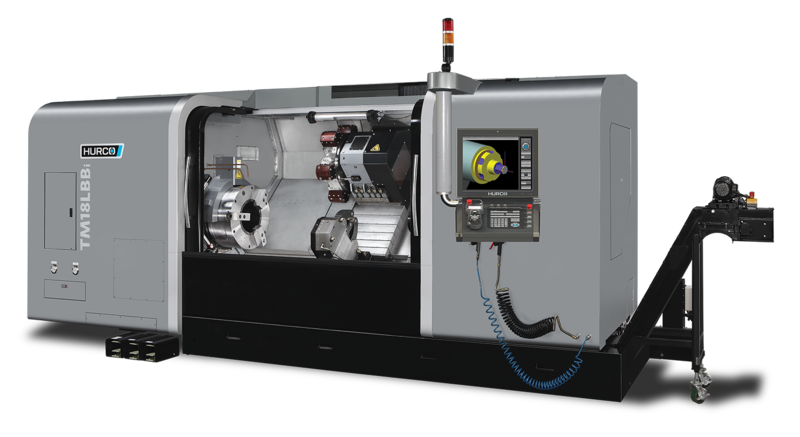 The efficient design of the Hurco 5-axis trunnion table machining centers is a key benefit to consider—we use an integrated trunnion table at Hurco instead of simply sticking a trunnion table on a 3-axis machining center and passing it off as a 5-axis machine. The integrated trunnion table design provides more clearance in Z compared to other brands. Table Size(X,Y): 7.8″ dia. 7.8″ dia. 9.8″ dia. 13.7″ dia. 19.7″ dia. 24″ dia. 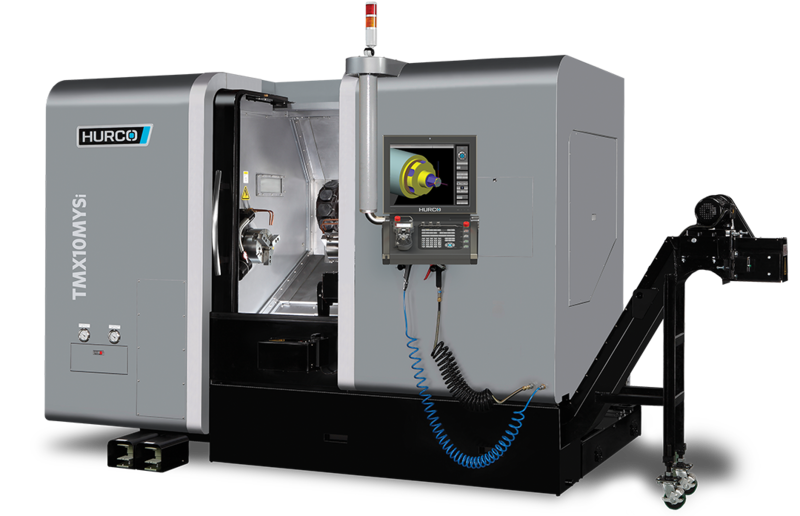 The SR series of 5-axis CNC mills offers multiple advantages, starting with the machine’s design configuration that utilizes a swivel head with either an A or C style rotary table. 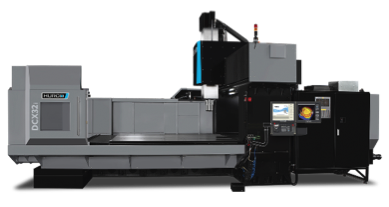 The generous size of the rotary table provides maximum versatility because you can use the extra table space for secondary operations or 3-axis work. 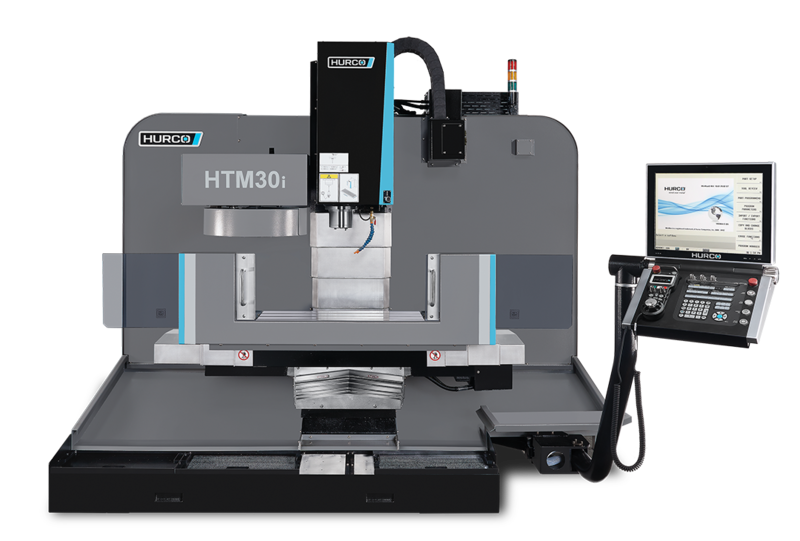 The Hurco Cantilever 5-axis Machines are equipped with CTS and linear scales. 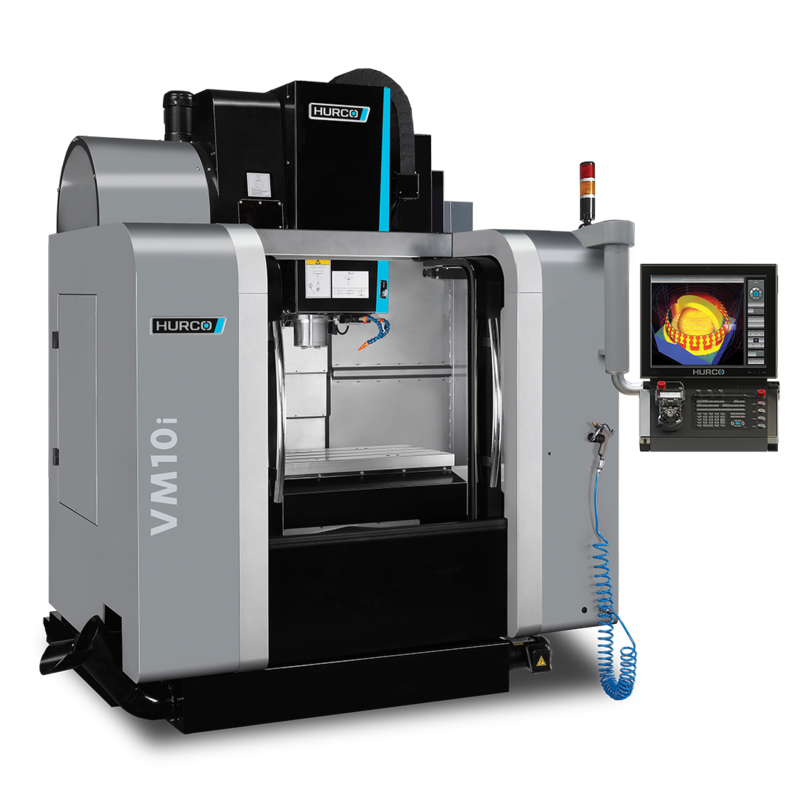 Powerful 5-axis/5-sided control features make the transition from conventional 3-axis machining easy. 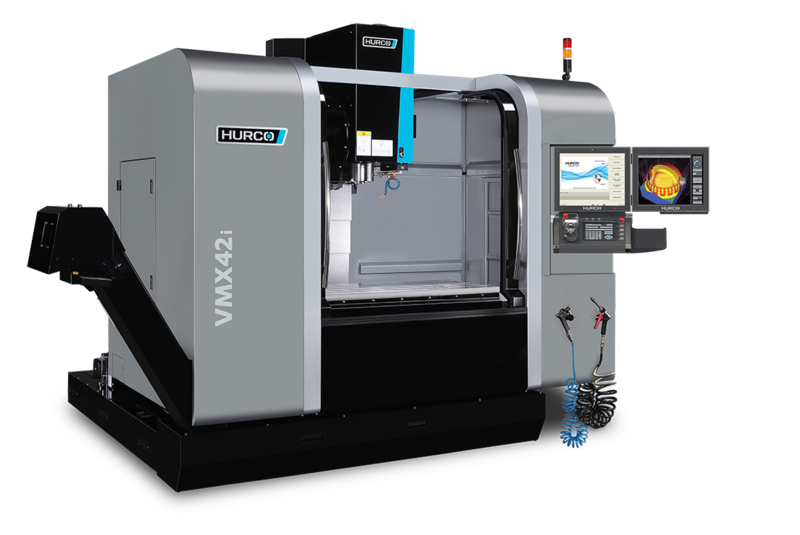 The Hurco Horizontal Boring Mill has a small footprint, especially considering the large work envelope, and is heavier than competitive boring mills in its class. The HBMX55i has a geared head spindle with two speeds and hardened box ways. We’ve packaged our boring mill to include the features you need for typical applications instead of requiring you to add them as options. 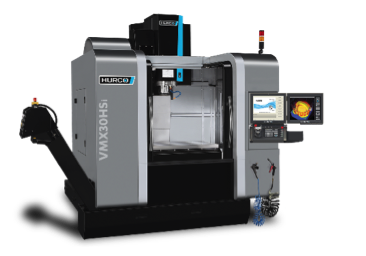 The HBMX55i comes with a 4.33-inch diameter quill that allows you to use shorter tools, a contouring 4th axis rotary table (not just positional), linear glass scales to maintain thermal stability and increase accuracy, CTS, and a 60-tool ATC. 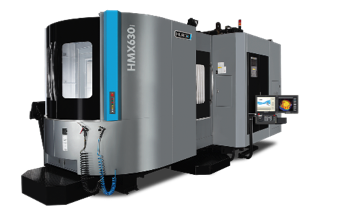 While Hurco is better known for our mills and control technology, our CNC lathe line of products deserves your attention. 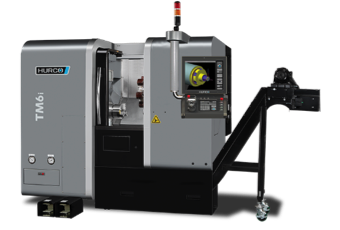 We’ve approached the design and development of our CNC lathe line in the same methodical, user- centric way we develop our mills and control technologies. 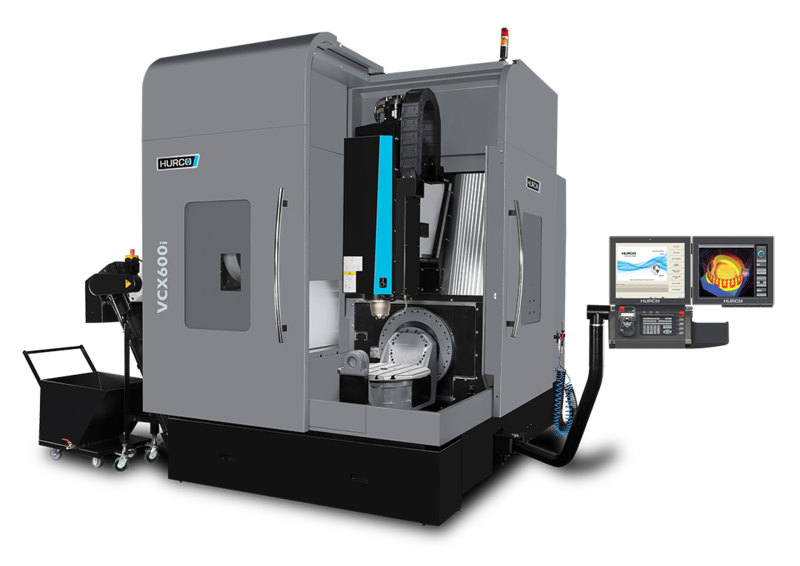 Bottom line: each feature of our CNC turning centers is designed to maximize productivity because our primary goal is to deliver manufacturing technology that helps our customers increase profitability. 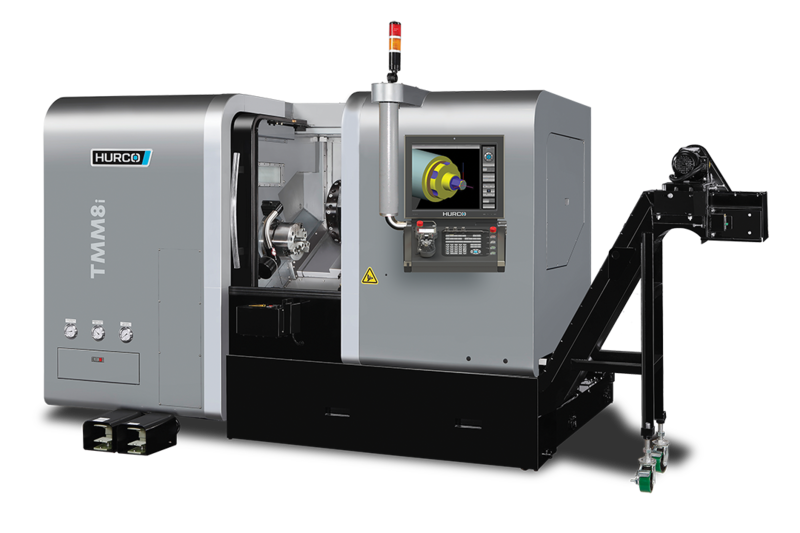 The TMM mill turn machines are true slant-bed lathes equipped with live tooling. 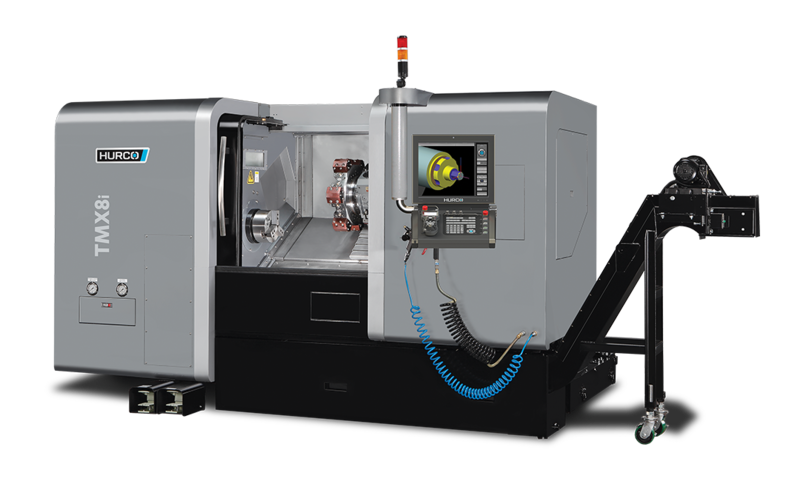 These mill turn lathes are the perfect way to make small to medium lot sizes that require turning and a C-axis for secondary milling/drilling operations profitable. Save time with one setup and you won’t lose accuracy due to refixturing. 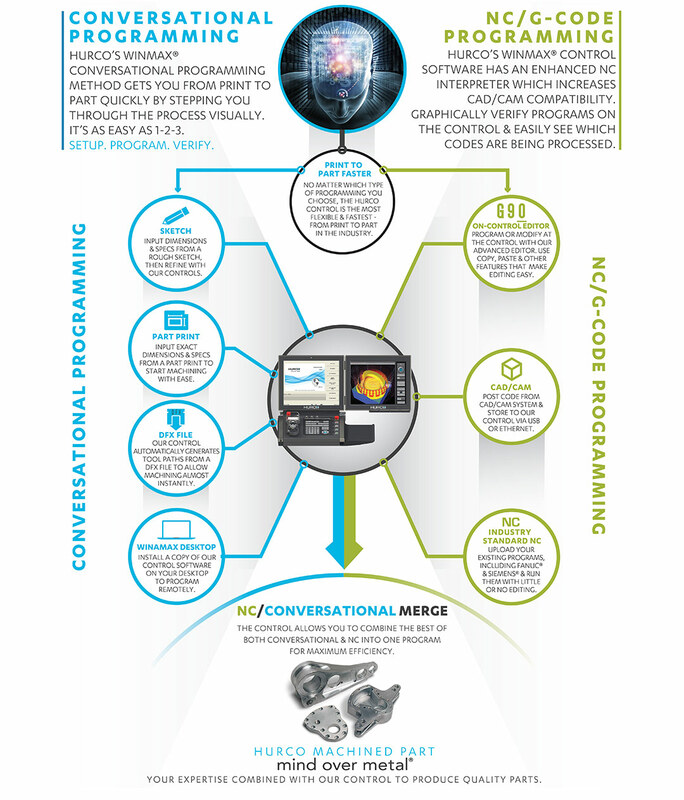 The diagram below illustrates the unique advantage of the Hurco control. It is the most versatile control in the industry: equally powerful whether you choose to use the conversational blue path or the NC programming green path. But it doesn’t stop there. Hurco’s patented UltiMotion software provides fast, smooth cutting to get your parts out the door quickly.